Newly-appointed Italian FA commissioner Roberto Fabbricini has claimed Chelsea manager Antonio Conte is ready to begin a second stint as Italy national team coach. Conte quit as Italy boss after guiding the team to the Euro 2016 quarter-finals and took up his role as Chelsea manager a few days after that tournament concluded. Now it appears he is a front-runner to return as Italy coach, with Fabbricini telling reporters he has a few candidates in mind to fill the vacant position, with Carlo Ancelotti, Claudio Ranieri and Roberto Mancini also in the mix. "The names are the ones you know,' the new FIGC commissioner confirmed after his appointment on Thursday. "Mancini was in Rome but we didn't contact him, Conte seems eager to wear Azzurro again, Ancelotti opens and closes the door and Ranieri isn't out either. "There's no-one in pole position, we have to evaluate the pros and cons," he continued. "Now though we'll evaluate what to do together with (sub-commissioner Alessandro) Costacurta." 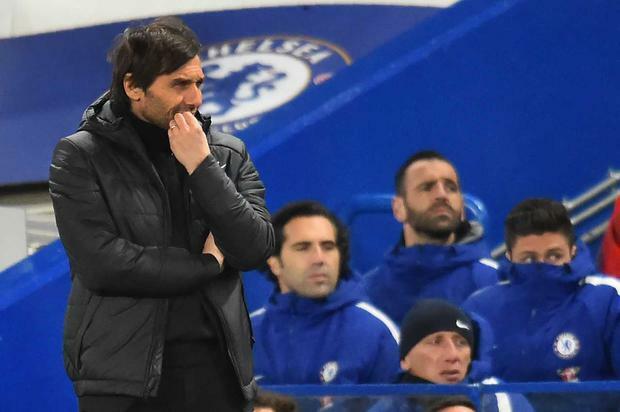 While Conte led Chelsea to the Premier League title in his first season at the club, he has persistently questioned the club's transfer policy in recent months and offered up a fresh salvo of negative comments after the Blues 3-0 home defeat against Bournemouth on Wednesday night. "I think we are doing more (over-achieving). We are doing more, yes," he said. "We must be worried. We must be worried. It won't be easy. But this is normal. I'm maybe repeating myself from the start of the season. "It won't be easy this season, and we have to fight. We must be prepared to fight and ready to do this. I'm ready. I think the players are starting to understand that this season we have to struggle for a position in the Champions League. "But I think the players, until now, are great. Are very, very top. For their commitment and their behaviours. If they hadn't done that, our place in the table would be worse. "If we want to speak about football and if we think to understand football we know very well this will be very difficult for us. If we want only to dream and not see the reality – in this case, I can tell you now we can fight to win the title this season. "It will be very important to look at the reality and to know that, if we are able to reach a place in the Champions League, it will be a great success for us. Otherwise we have a normal season."